The Brick Castle: Vapiano Kids Menu Review & #LittleVaps Competition (Manchester Corn Exchange). 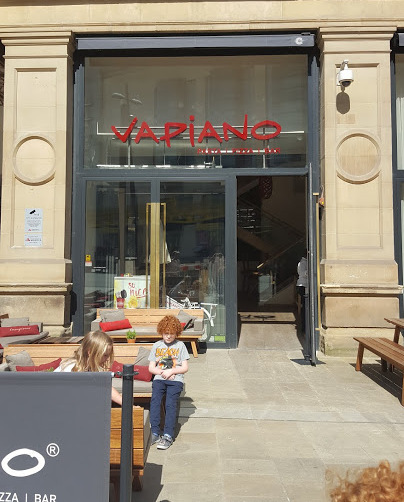 Vapiano Kids Menu Review & #LittleVaps Competition (Manchester Corn Exchange). 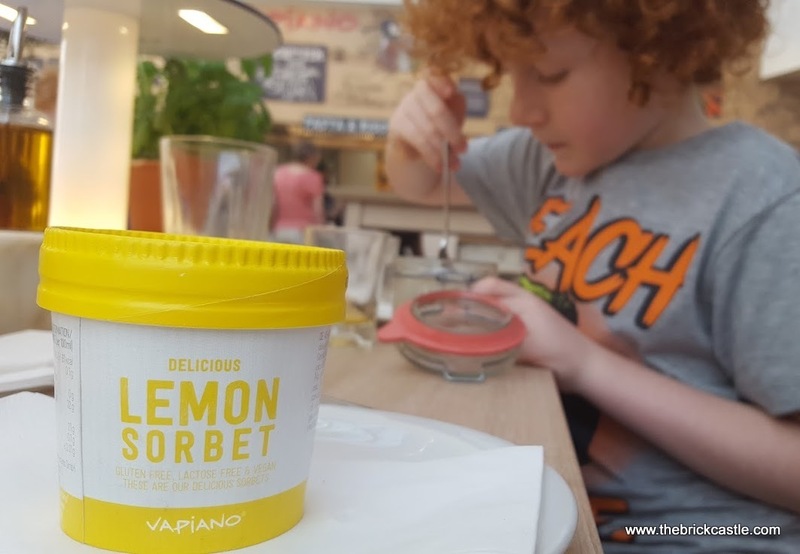 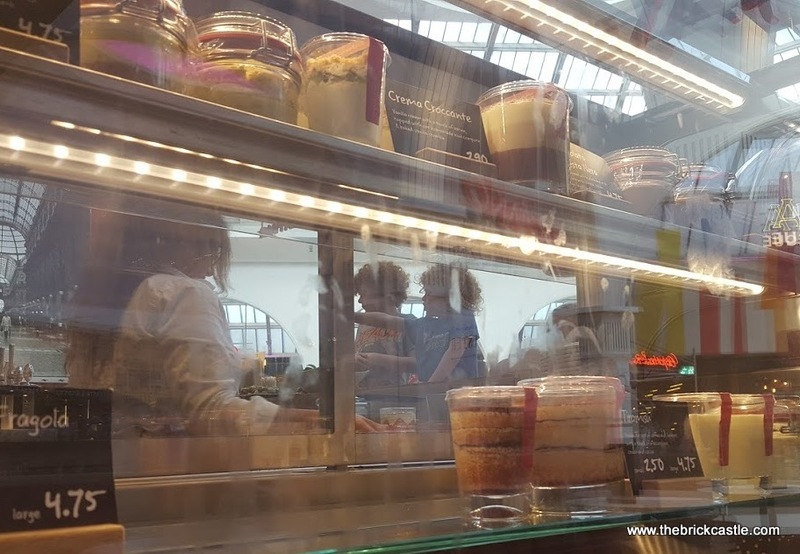 I've been to Vapiano before as a guest when Manchester Mummy reviewed, so I knew what to expect - in fact some of my photos are from that day, so that I wasn't distracted from my children too much this time. I was already certain that being able to watch someone make your food would be perfect for my constantly enquiring boys. 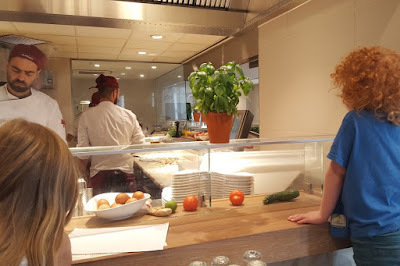 My 7 year old is also a bit of a foodie, so the option to talk to the chef was excellent for him. 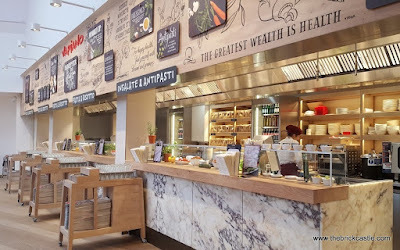 You can explain how you like your food and what you'd like added or left out from your chosen dish. 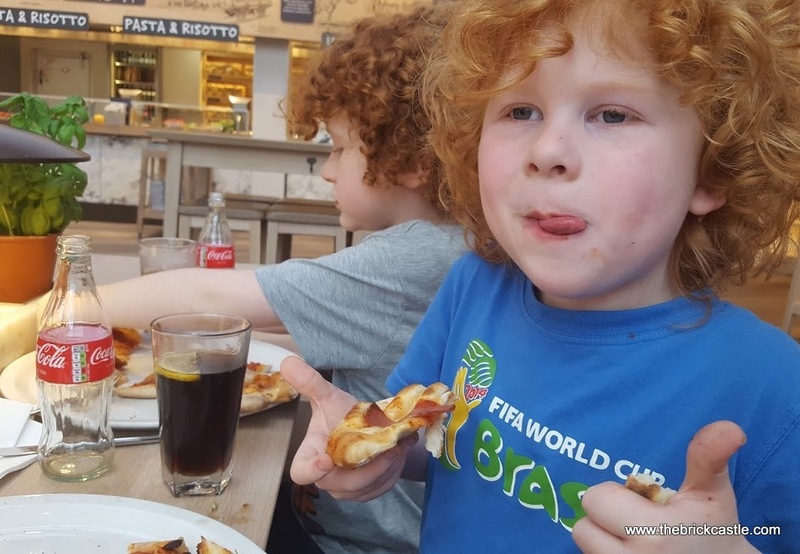 Finding a suitable table was no issue. 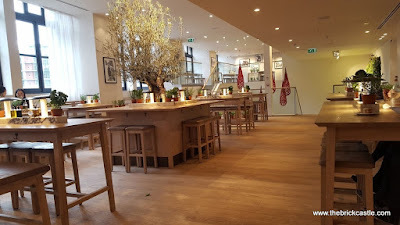 We arrived at noon, and were able to have our choice of floor and location. Vapiano is situated over 2 levels, and has seating 'inside', as well as seating in the centre of the Corn Exchange and even outdoor seating. It was too hot to stay outside and we fancied a seat upstairs overlooking the interior of the building. We were also with Sim and Liv from Manchester Mummy, but still had a choice of several perfect tables which actually would seat 8. 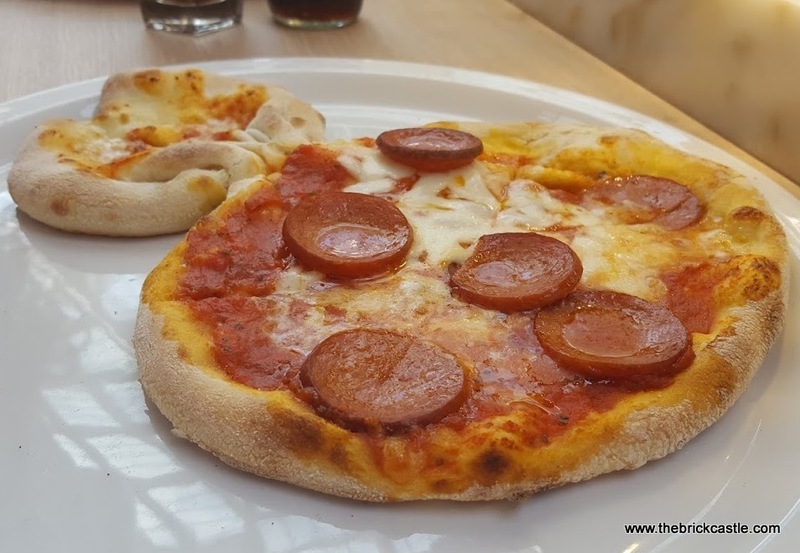 The children's menu costs £4.95 and is available for children under 8. My almost 8 year old eats more than I do, so I was a little worried in case a children's meal would be enough. 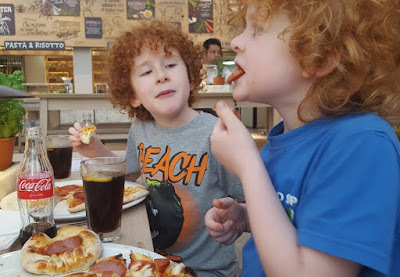 Both of my boys chose Pizza Salame from the menu, but they'd have both eaten any of the available pizza and pasta options. 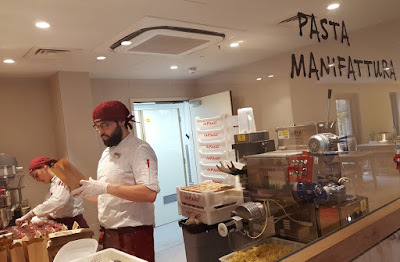 Being able to watch your food being made was something my boys really enjoyed. 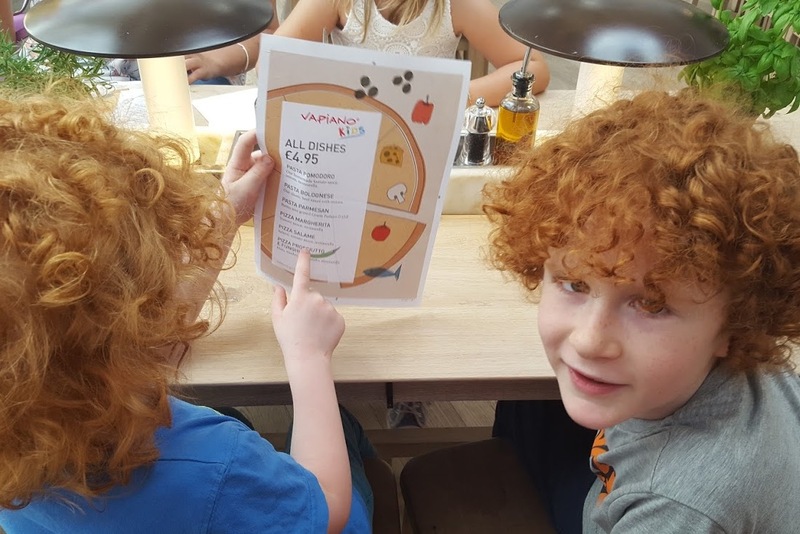 They both gave special instructions to the chef, asking for specific sausages and levels of spiciness! The chefs were lovely, and really paid attention to my boys and made them laugh. While their pizza was in the oven, they were both entranced by the chefs making pasta. There are several different hand-made pasta types available, all freshly prepared. My 2 boys were delighted with their pizzas too! Shaped pizza perfectly cooked, fluffy and soft with a nice crust - and plenty big enough to please my almost 8 year old - in fact he worried he wouldn't have room for dessert, so he left 2 slices which Vapiano kindly boxed for us to take home. 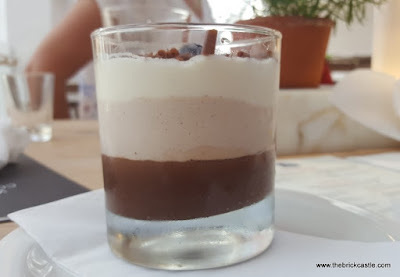 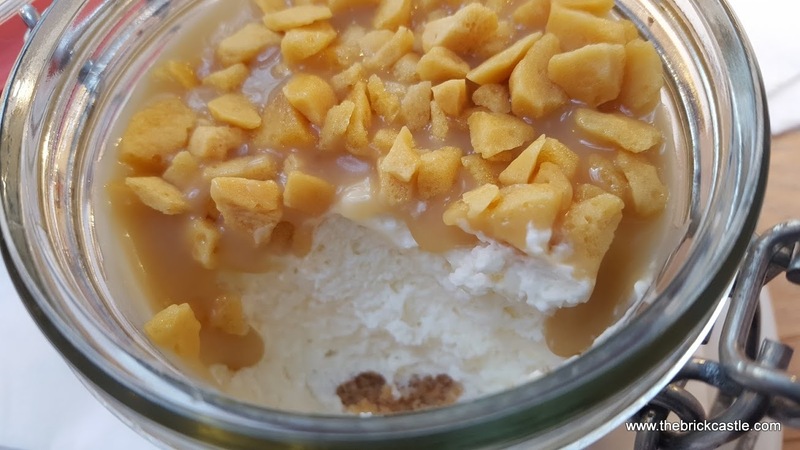 You couldn't miss out on dolce, the Italian dessert course, and a gorgeous cabinet full of beautifully crafted chocolate, cream and toffee puddings, hand finished as you order if necessary. Vapiano ice creams and sorbets are also available, and my youngest chose a Lemon Sorbet which really was delicious. 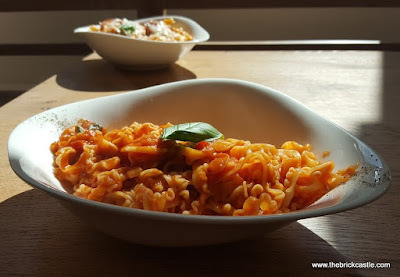 Less adventurous maybe, but no less tasty. 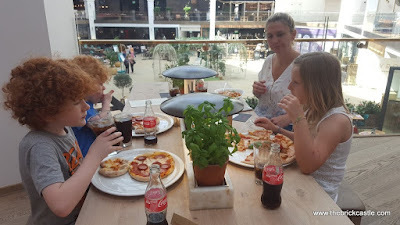 Our table gave us all a feeling of being outside, the noise level was really comfortable, and the children were kept very content people-watching. Although we were upstairs, the glass barrier make it completely safe for children, with no gaps they can squeeze a leg through, and the table variety means you can sit however you feel comfortable - there are even big comfy chairs if you want to really relax. 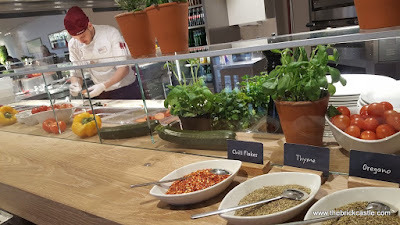 You really can have your own personal preferences at Vapiano, and so being vegetarian or a small child who is 'not keen on spicy', or indeed a nearly 8 year old who likes his food hot, isn't an issue. The food is fresh and delicious, the staff are absolutely lovely and more than happy to make your food just how you will like it. 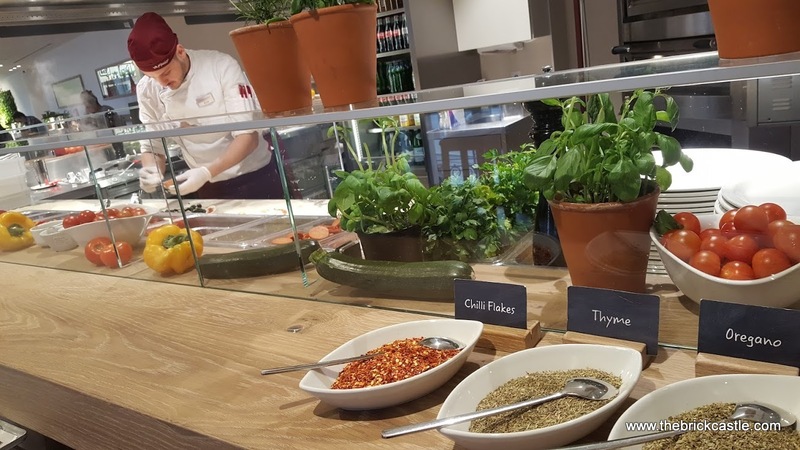 Vapiano definitely gets the thumbs up from us, and we've promised to go back with the rest of the family so that they can all enjoy it too. 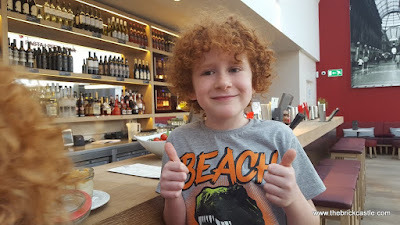 Our meal was free of charge to review. 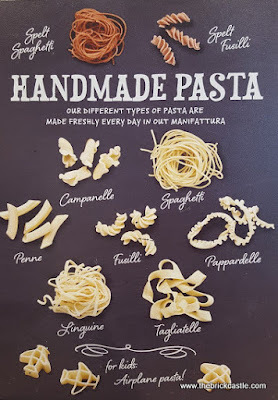 I wish I had known about this when we were in Manchester as it looks amazing, am going to have to hunt down the fresh pasta. 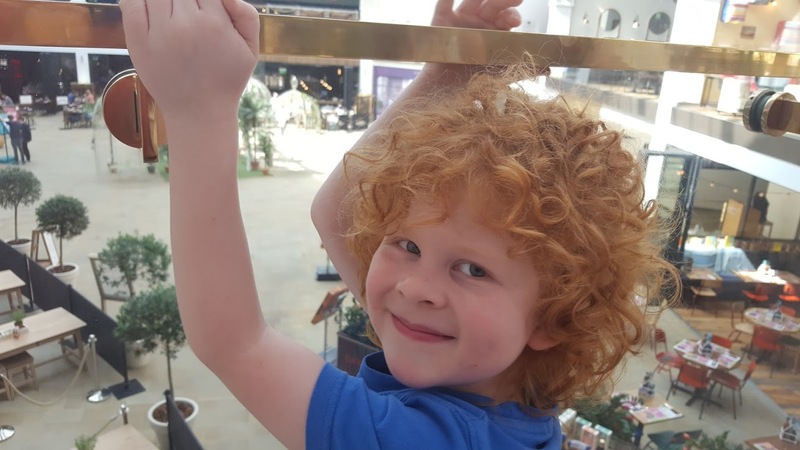 I can see my son would have loved this too!